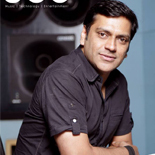 Mujeeb Dadarkar, Sound Engineer and Co-founder Odble Consultants, is a well know name in the music industry. He has been a recording engineer and technical consultant to the Audio/ Video industry since 1983. His experience as a sound engineer has spanned numerous documentaries, advertising and feature film projects. He has also worked extensively as live sound engineer for world-class artistes like Ustad Zakir Hussein. Mr. Pramod Chandorkar – IRAA Honorary Chairman 2019, Founder & Director, Soundideaz Academy Pvt. 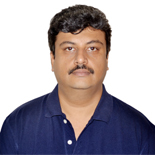 Ltd.
Pramod Chandorkar, has worked on numerous mega-hit albums and films as a Chief Sound Engineer. He is one of the few audio engineers who have excelled in all branches of audio ranging from music recording, live sound, film sound design and studio design and audio education. Has been working as a Sound Engineer in the music industry since 1995 and has worked on numerous mega-hit albums and films as a Chief Sound Engineer. Currently he is the founder & director of Soundideaz Academy Pvt. Ltd. and Premier Audio Post Production Facility “Soundideaz Studios “in Andheri Mumbai. As live sound engineer, he has been the Head Technical Engineer for Sonu Nigam Live in concert and has been travelling with Sonu Nigam for all his Tours. Aditya Modi, the IRAA Award Director this year is already here on stage with us. Aditya is the Vice Chairperson of Audio Engineering Society, India. A 2006 & 2007 IRAA winner himself, Aditya graduated with a Recording Arts Degree from Full Sail University, after which he has worked under Avinash Oak and Daman Sood at Western Outdoors. After receiving an offer from Mr. A.R. Rahman, Aditya moved to Chennai and has worked with him on several of his film projects and his live concerts. He also runs a distribution company – Modi Digital and operates the Indian Operations of an acoustic design firm called WSDG. 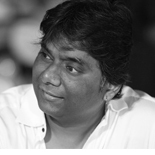 Mr. Ashish Saksena - Eminent Sound Designer and Director, Purple Haze Studio Pvt. Ltd.
Ashish Saksena is the owner and chief sound engineer at Purple Haze Studios in Mumbai. He has been in the music industry from 27 years and worked with a number of artists and music directors like Louis Banks, Shankar-Ehsaan-Loy, Vishal-Shekhar, Leslie Lewis, Ranjit Barot, Ram Sampat and others. 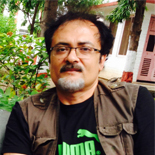 Mr. Bishwadeep Chatterjee - Eminent Sound Designer and Co-founder, Orbis Studio. 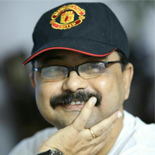 A graduate in Sound Recording and Sound Engineering from the Film and Television Institute of India, Pune, Bishwadeep Chatterjee’s career spans over 3 decades. He has worked in virtually every department of recording for Feature Films, Short Films, Documentaries, Television serials, Advertising films and Music Albums. He has worked as a location Sound Recordist for Bandhini- a documentary by Ketan Mehta and Salaam Bombay, by Mira Nair. Some of his most prestigious projects as a Music Engineer has been for Television serials like “Chanakya and “Swabhiman”, Music albums like “Ab Ke Sawan” and “Dooba-Dooba”, Films like “Hum Dil De Chuke Sanam”, “Devdas” and “Munnabhai MBBS”. He has also designed and mixed the sound for films like Chokher Bali, Parineeta, Madras Café, Piku, Bajirao Mastani, Padmavat, Lage Raho Munnabhai, 3 Idiots and now the forthcoming Sanju by Rajkumar Hirani. Along with several awards like the Filmfare, IIFA, Screen, Producers’ Guild, Zee Cine, GIMA etc, Bishwadeep has won the prestigious National Award for Sound Design twice- for “Madras Café” in 2014 and “Bajirao Mastani” in the 2016. 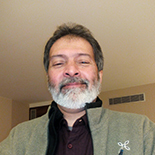 In his career span of almost 3 decades, Indrajit Sharma has Produced and Composed music in all genres from Jingles to Film Songs, Independent Albums to Original Background Scores; and more recently he is acknowledged as a jazz pianist as well, having represented India in festivals overseas. With hit films like My Name is Khan, Bhaag Milkha Bhaag, Guzaarish, 2 States & more recently Raazi under his belt, he is among the country’s most celebrated Background Score Composers. 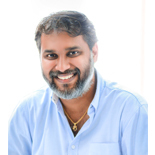 Jim Satya, the Music Arranger, and Music Producer, is a well-known name in the music industry. He was born in a family of musicians and has completed his Grade Exam from Trinity College of Music, London. His experience as a music arranger has spanned numerous award-winning feature film projects in multiple languages like Barfi – winner of Filmfare and various awards in Background score and songs categories. He owns to his credit a span of 12 years’ experience as a Sound Mixer in the industry. Sreejesh is a B.Tech in Mechanical Engineering from Rajiv Gandhi Institute of Technology, Kottayam and has mastered Audio Engineering From Chetana Sound Studios, Thrissur. He started his career as assistant sound re-recording mixer in Rajkamal (FutureWorks) studios and has worked on more than 200 movies since then. He was part of the First Dolby Atmos Mix theater installation in India and the first Dolby Atmos Premiere mix room in the world. Sreejesh Nair won the 60th National Film Awards for the best Re-recordist of the Final Mixed Track for the film Gangs of Wasseypur. 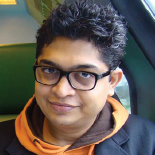 He has also done quite a few art installations in Paris and Mumbai with artists like Shilpa Gupta & Rajivan Ayyappan. He is currently working as Solutions Specialist at Avid. 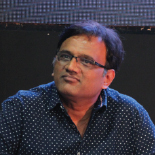 He is the Chief Sound Engineer at Yash Raj Film Studios since 2005, started his professional career as an engineer in the year 1990 at The Music Room, Bombay, and went on to head the studio as chief engineer in 1991. 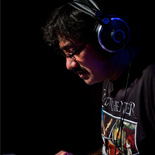 Shantanu has worked with the likes of Herbie Hancock, Chaka Khan, Rupert Hine, Gustavo Santaolala, Dr.Ilaya Raja, John Leckie, The Bombay Dub Orchestra, Deep Forrest, Ranjit Barot, Soulmate , Advaita, AR Rahman, Shankar Ehsaan Loy & Shekhar, Pyarelal Sharma, Colonial Cousins and Pritam, to name a few. He has also worked with some of the finest names in advertising and film such as Highlight Films, Whitelight, Genesis, Yashraj Films, Dharma Productions, Excel Entertainment, Aamir Khan Productions, and Vinod Chopra Productions to name a few. 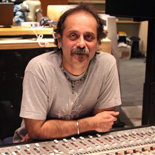 Vijay Benegal’s career as an independent Sound Engineer has spanned close to three decades with experience on diverse sound recording and mixing projects for radio, films, television, and music albums. Artists he has recorded for include Ustad Zakir Hussain, Indus Creed, Shankar Mahadevan, Shankar-Ehsaan-Loy, Vishal-Shekhar, Ranjit Barot, and many more. Film recording projects have included album and background scores for Dil Chahta Hai, Lakshya, Armaan, Kaante, Zindagi Na Milegi Dobara and others. He is also a Live Sound Engineer having worked with local and international artists such as Kailash Kher, Indus Creed, Slash, Niladri Kumar, Steve Smith, Louiz Banks, Dave Holland, Chris Potter and other luminaries. Vijay is currently touring with Shankar-Ehsaan-Loy as well as Ustad Zakir Hussain’s Cross Currents. 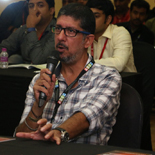 Vijay Dayal, Chief Sound Recordist at Yash Raj Studios, began his career as a musician but his inclination towards understanding the technicalities of sound fascinated him and his interest in learning the technical aspect grew. He started executing sound mixing of shows and is currently doing live and studio engineering. Some of the movies he has worked on mixing engineer includes Dhoom 2, Dhoom 3, Sawariya, Om Shanti Om, Rab Ne Bana Di Jodi, Gundey, Ek Tha Tiger, Tiger Zinda Hai, Sairat, Agnipath and Ra One. As an FOH engineer, he has worked with Asha Bhosle, Ajay-Atul and Pritam Chakraborty. Yogesh Pradhan is a well-known Violinist, Bollywood Music Arranger & Music Composer who has worked on numerous albums and films. As Violinist, he has worked with leading music directors such as R.D.Burman, Laxmikant Pyarelal, Raamlaxman, Rajesh Roshan, Anu Malik, Nadeem-Shravan Etc. As music arranger, he has worked with Ismail Darbar, Adnan Sami, Anu Malik, Jatin-Lalit, Sajid-Wajid, Vishal Shekhar and many more and has to his credits, films like Hum Dil De Chuke Sanam, Devdas, Bhool Bhulaiyaa, Lucky, and many more.